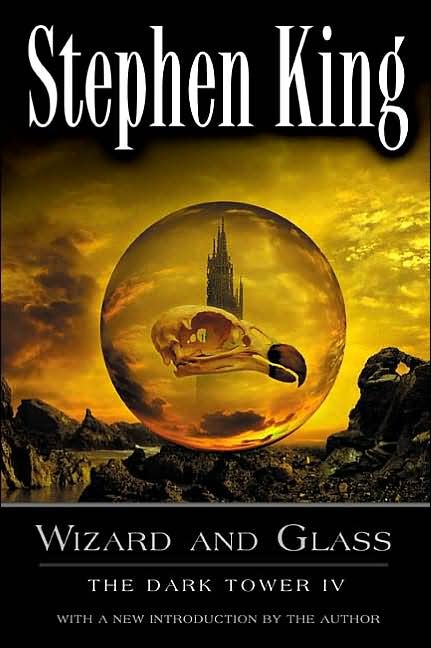 Title: Wizard and Glass (Dark Tower series, book 4). 50-word Review: Not my favourite in the DT series. Although I liked Roland’s origin story (Susan! Alain! Bert!) and the Western- meets- Wizard of Oz feel of the book, SK’s unnecessary verboseness made this overlong flashback book kind of boring overall despite being awesome and freaking heartbreaking in parts. Missed our Ka-Tet. 50-word Review: Historical epistolary narratives of eccentric families are my Kryptonite. Loyalty, love, loss, politics, World War II, LGBT issues and social critique present as narrated through eyes of super young and naïve protagonist who matures as time passes. OTT ending kind of diminished pleasure but overall, very good. Want more. 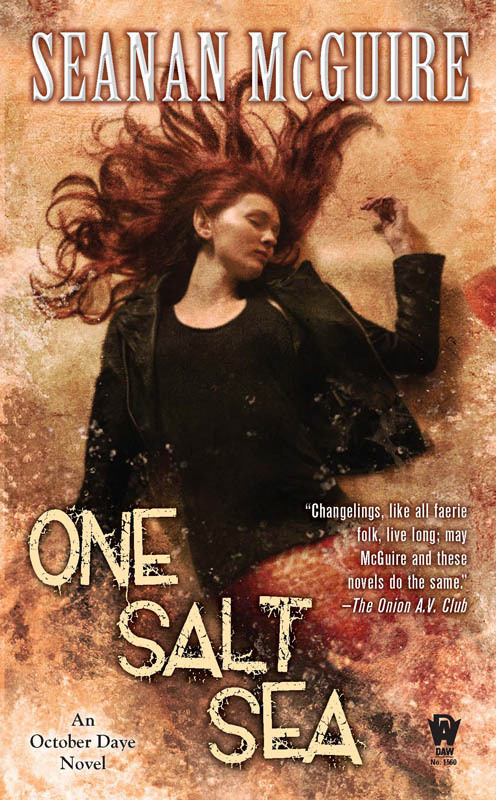 50-word Review: Toby Daye books remains fave UF series. Toby is now the Knight to save ALL the Children which I think suits her really well. Love the characters, the world and the ongoing story of resilience, hard choices and fitting in. Will not mention Tybalt in respect of bittersweet ending (#TobyTybaltForever). “I was a rat,” said the little boy. When a grubby young pageboy knocks on the door of Bob the cobbler and Joan the washerwoman’s house, the kindly couple hardly knows what to think. Could this delusional boy be the answer to their prayers for a little one of their own? And was he really once a rat? It seems so. He shreds his bedding, for example, and he chews his toast swiftly with his front teeth. He eats an entire pencil and bites his teacher. Despite the fact that he is a little ratty in his habits, the old couple grow quite fond of the young fellow. In time, the word spreads that there’s a rat-boy in town, news that intrigues everyone from the Royal Philosopher to the P.T. Barnum-inspired freak-peddler Oliver Tapscrew to a reporter from the local rag The Daily Scourge. 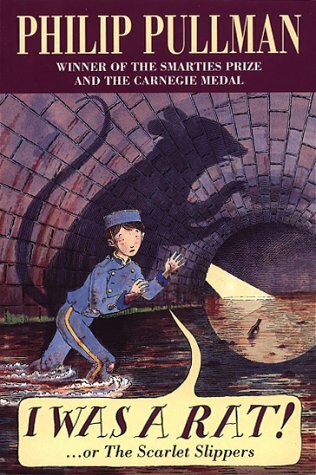 As the harmless, well-meaning boy is transformed into “The Monster of the Sewers” through pure sensationalism and mass hysteria, Philip Pullman playfully satirizes the power of the press and society at large. What does it mean to be human? In this often darkly comic Dickensian tale, rats start to look pretty good by comparison. But in a fairy-tale ending, Bob and Joan teach us that humans, corrupt as we are, can always take solace in toasted cheese, love, and good craftsmanship. Kevin Hawkes’s black-and-white illustrations enliven the already vivacious adventure that, thanks to Pullman’s ever lovely wordplay and sly satire, is every bit as enjoyable for adults as it is for young readers. 50-word Review: “I was a rat” says the young boy to the elderly couple as he knocks on their door starting a twisterific tale of a boy getting in trouble and finding a family. Supremely lovely retelling of a surprising minor fairy-tale character. Bonus: fun and astute social critique peppered throughout narrative. Discovering that he has nine lives and is destined to be the next ‘Chrestomanci’ is not part of Christopher’s plans for the future: he’d much rather play cricket and wander around his secret dream worlds. But he soon finds that destiny is difficult to avoid, and that having more than the usual number of lives is pretty inconvenient — especially when you lose them as easily as he does! Then an evil smuggler, known only as The Wraith, threatens the ways of the worlds and forces Christopher to take action! 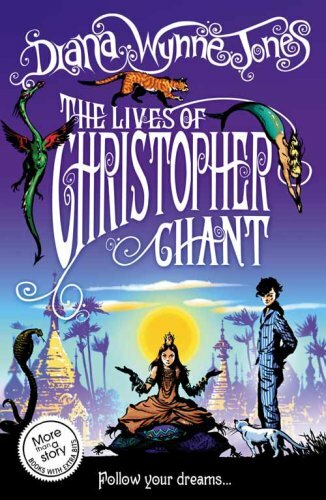 50-word Review: LOVE the Chrestomanci books (comfort reading FTW). This is the story of Chrestomanci’s childhood and how he lost (but found) his lives and as he grows up and powerful. The question of choosing and of responsibility are foremost. Best part: finding out Millie’s (his future wife) awesomely powerful origin story. Final Thoughts: I am getting the hang of these short reviews, it wasn’t too hard to write these thoughts, although obviously all of these books deserve more, better in depth reviews. I was kind of surprised to see how little I connected to the Stephen King book (sorry, Thea) especially given the romantic storyline. 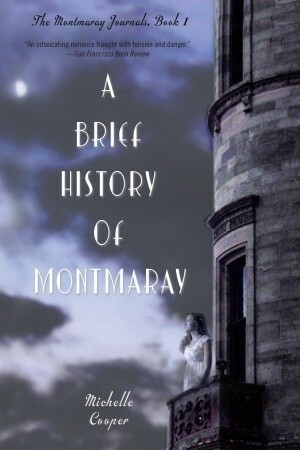 Although I really enjoyed One Salt Sea (will read Ashes of Honor very soon) and A Brief History of Montmaray, my favourites were by far I Was a Rat which was so, so lovely and The Lives of Christopher Chant which you know, it’s a Diana Wynne Jones. Diana Wynne Jones! I just recommended some of her books to a friend who has been a huge reader her whole life and yet had never heard of her as a kid. I told her it was never too late to start — she really can’t be beat. The Lives of Christopher Chant is one of my comfort reads also. The audioversion is quite lovely. Millie is awesome, and don’t forget Throgmorten-he is one of my favorite characters. I think Conrad’s Fate is fantastic, and I recommend people read it after The Lives of Christopher Chant. It was because of Thea’s reviews (thanks, Thea!) that I read the Montmaray Journals and by read, I mean devoured. I was lucky to be introduced to this trilogy right when the last book was released so I was able to read all three in a row and become completely immersed in that world. I think because of that immersion, the characters, the author’s willingness to be true to the horrors and privation of war that I count this trilogy books as my second top read of 2012, right after Code Name Verity.